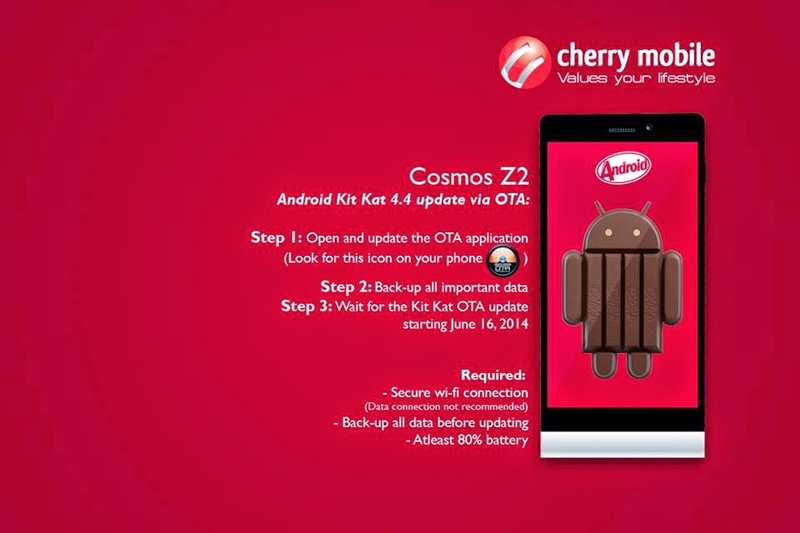 Cherry Mobile Cosmos Z2 will be receiving an Android 4.4 Kitkat update starting June 16. The local mobile phone outfit announces in its Facebook page the sought after over-the-air (OTA) update for the famed Cosmos Z2 phone. Step 1: Open the OTA update application on your device (highlighted below). Step 2: Back-up all important data. Step 3: Wait for the Android 4.4 KitKat update starting June 16. It is also recommended that you use secure WiFi connection in updating your Cosmos Z2, cellular connection is not advisable. 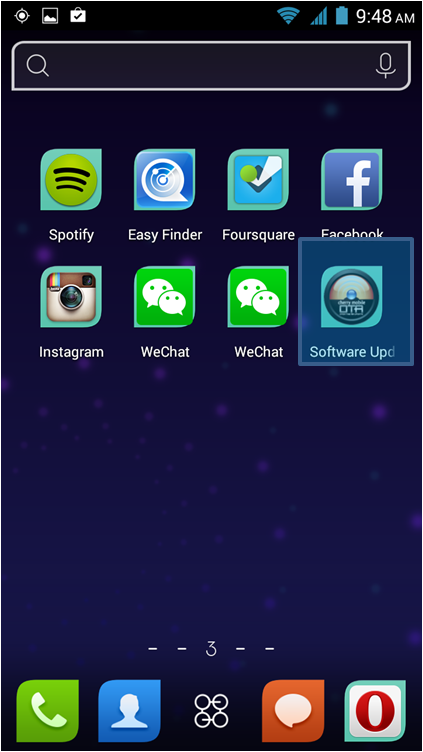 With Android KitKat you can have unlimited home screen panels to house your apps, widgets and shortcuts. Likewise, you can just say “OK Google” to prompt Google Now (voice assistant) to activate search interface, send message or play music. Other features like Enhanced Caller ID, Immersive Display, QuickOffice integration, message integration, contact prioritization and Emojis define the most of the Android KitKat changelog.